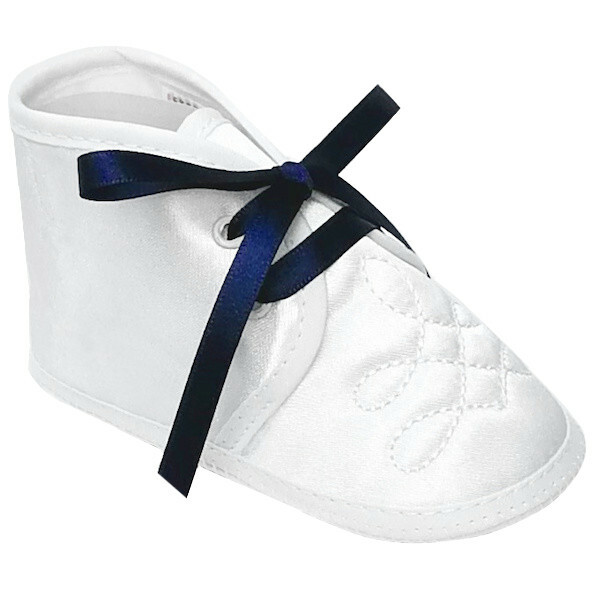 Baby boys white satin shoes with navy ribbon ties, suitable for your little boys christening day or special occasion. 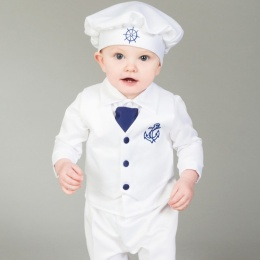 These lovely boot style shoes are of a white satin. 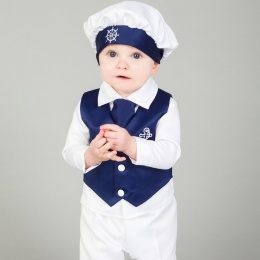 They have an embroidered stitch design to the front with a navy satin ribbon fastening to the centre. 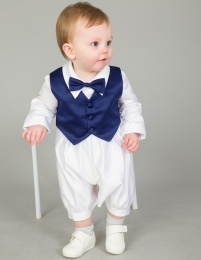 A wonderful compliment to your boys christening outfit. Presented in a plastic presentation box.